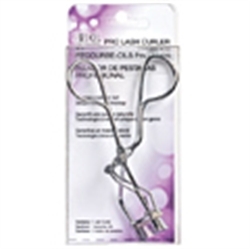 Ardell Professional Lash Curler ensures an easy natural curl every time. No more crimping or pinching, the aerodynamic shape and unique spring technology of Ardell’s Professional Curler ensures an easy, natural curl every time. This is the must-have lash accessory, perfect for prepping lashes for mascara and false lashes.